Colorado law provides for two types of assistance to children involved in divorce, paternity, parental responsibilities and adoption proceedings: a child legal representative “CLR” (§ 14-10-116, C.R.S.) and/or a child and family investigator “CFI” (§ 14-10-116.5, C.R.S.). Both are appointed by the Court and paid for by parents and/or state funds, however their roles are very different. A child legal representative (CLR) is an attorney mandated to represent the “child’s best interests” giving due regard, but not necessarily adherence, to the child’s wishes in the matter. The child’s counsel is a participant in the legal proceedings, able to subpoena witnesses, produce evidence and make arguments to the Court as to the child’s best interests. 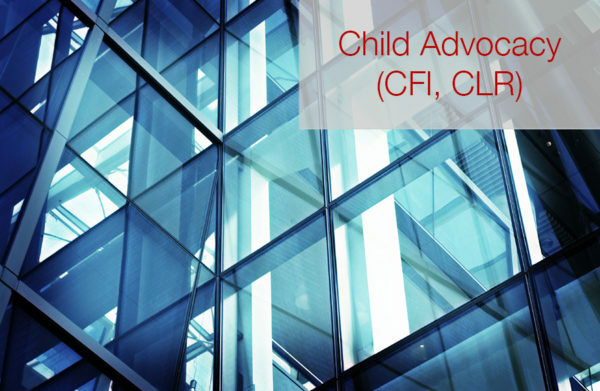 By contrast, a child and family investigator (CFI) is not necessarily an attorney, but a trained or experienced person charged with investigating and reporting of a child’s circumstances and making recommendations to the parties and the court as to parental responsibilities for the child. All of the attorneys with the Firm are experienced in working with CFIs and child legal representatives and several members of the Firm are State-approved for Court appointment as CFIs.